Ariens manufactures lawn mowers using engines produced for them by several different manufacturers. It is the engine manufacturer that recommends the oil used and the service interval, rather than Ariens. 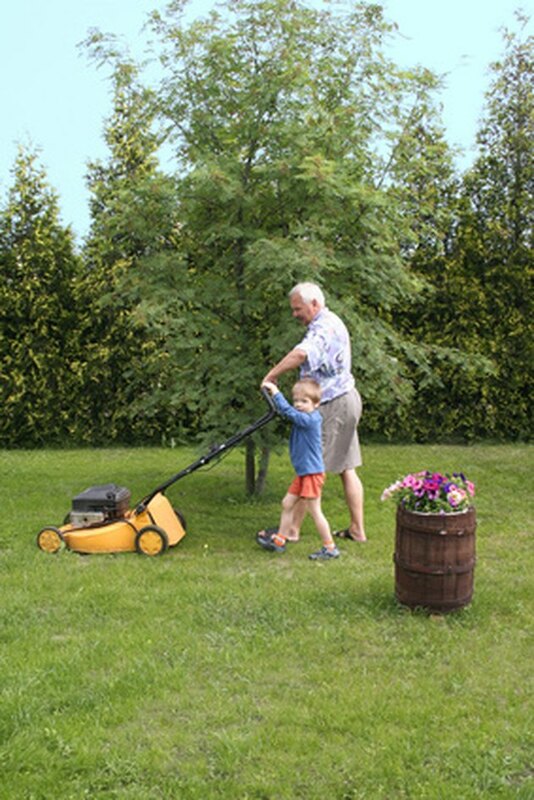 A well maintained lawn mower will last for years. Briggs and Stratton is perhaps the most popular engine choice on Ariens mowers. They recommend SAE 30 single-viscosity engine oil be used in any of their engines when the temperature is above 40 degrees. Briggs and Stratton recommends their own private labeled 5W-30 multi-viscosity synthetic oil for equipment operated at extremes of both heat and cold--snow blowers in the cold and lawn mowers in Phoenix, for examples. This oil is more expensive than SAE 30 and is not necessary at the temperatures experienced during normal lawn-mowing season in most of the country. Many other manufacturers also recommend SAE 30 single-viscosity oil for small air-cooled engines operated at 40 degrees or above. Despite this general recommendation, if your Ariens mower has something other than a Briggs and Stratton engine, you should contact the engine manufacturer to confirm the correct oil for that model engine. Change the oil in your lawn mower every spring before mowing season starts to maximize its life and performance. You can do it yourself with simple tools in less than an hour. Start and run the engine for a few minutes before draining the oil to insure complete drainage. If you're not comfortable tackling the job yourself, save time and possibly some money by taking your mower to the service shop in February. Many shops run off-season specials for small engine service, and the wait to get your mower back won't be nearly as long as it will just a few weeks later.